You will love this kit! We've had 28 different light fabrics and 28 different dark fabrics laser cut for perfect pre-cut triangles which means zero cutting for you to do and no waste! 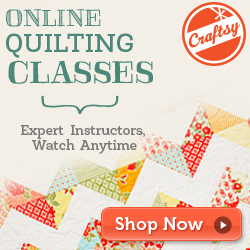 Just sit down, start sewing and you will soon have your 95" x 95" quilt top completed! If you want to make it bigger, just add one or more borders from your own stash. 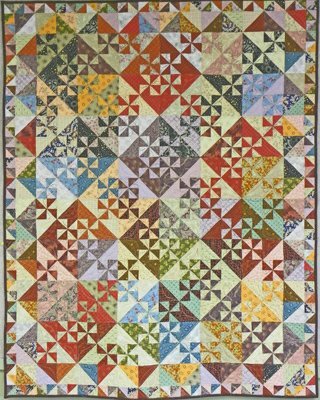 This lovely quilt started out as one of Joan's annual Mystery Quilt Weekend projects. Everyone loved it so much that Joan decided to have more kits made up and have them available to everyone! The picture shown is the small version. The Queen size has more blocks than the original size and the blocks are larger. The fabrics in the queen kit are virtually the same as in the smaller version but we've added a few extra fabrics to give more choices when making the larger size.